Business is all about connections. If you aspire to make your business a thriving one, you got to build strong and trustworthy relationships with people. The more you connect with people the more your business flourishes. Business networking is an effective way to reach your goals faster, but one has to be genuine, dependable and aim at delivering the best possible services. However, competition prevails everywhere and every business entity is frantically trying to win more and more clients. People come up with numerous ways of business networking but, beyond doubt, mobiles and internet do the job fastest. There’s no denying the fact that we are addicted to mobile apps and even in our leisure time, we keep on staring at our smartphones, browsing through various apps. How about doing some business networking alongside? The deal is you still get to remain hooked with your phones, but the outcome might be way more desirable. 1. LinkedIn: The most obvious professional networking site where one can find and maintain contacts conveniently. The app works smoothly on all smartphones and helps you discover crucial links for your business. 2. Twitter: The most challenging task of meeting new people is striking a good conversation. While attending an event or conference, you can scan Twitter profile of the attendees to find out their conversational ground and can start a great conversation, laying the foundation for network expansion. 3. Hurricane Party: In case you are planning to organize a networking event to boost your connections, this app will help you to create invitation, find the proper venue and invite contacts. The invites can be sent out through e-mail, Facebook, Twitter and text. 4. Shapr: Shapr is a great way to build a strong business network and helps you to connect with the right people. The app takes off the burden of finding the right connection from a sea of contacts and lets you spot the appropriate ones through your existing trustworthy connections. 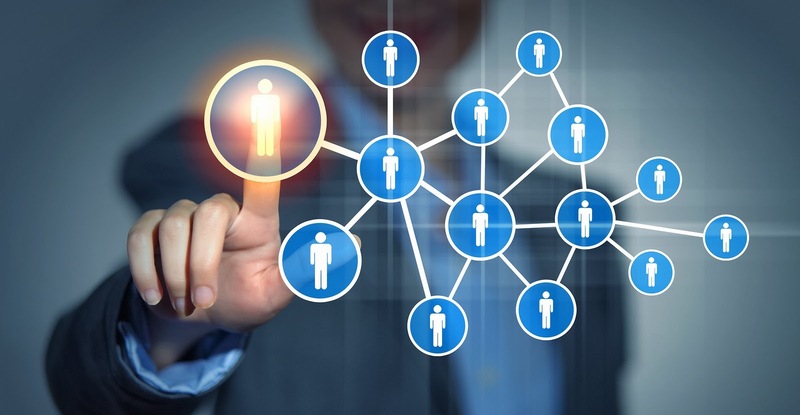 Users can create their own network and share vetted contacts with others. 5. Happening: If you are confused where and how to find the right connections for your newly launched business, Happening has the solution for you. This iPhone app reveals the upcoming professional events in your locality so that you can choose the ones that suit your business and store them in your calendar. 6. Hashable: Hashable is another way of expanding your business networks by creating and sharing virtual business cards. You can exchange information with your clients or business partners and, once done, the app also reminds you about meetings and events. Hashable also allows you to create groups for contacts so that meet-ups could be planned easily. The app is compatible with android as well as iPhones. 7. Vivastream: Vivastream is another tool for business professionals where they can build a strong network. Vivastream can be joined using the LinkedIn profile and one can filter and find like-minded people. You can select your tags that reflect your interests and can locate individuals having tags associated with your expertise or interest. 8. CamCard: Business networking involves frequent exchange of business cards and getting confused between so many contact details is quite obvious. CamCard captures all the business cards for you and helps you manage contact information. Through this app e-cards can be exchanged and can be managed by tagging and adding notes. Once you batch scan all the paper cards, you can access any one of them, anytime, easily. 9. Lanyrd: Lanyrd helps you to find conferences and professional events. You can see which events your Twitter contacts are attending. Don’t worry even if you missed any, as in this app you can also find videos and slides from missed events as well from those you attended. 10. Treatings: Treatings is an excellent way to find new and relevant connections, especially if you are a startup founder. The app can be accessed through a LinkedIn profile. One can select topics of interest as well as the favorite local meeting spots where collaborations can be made. The user can update a status just like Facebook, stating the requirement. The message remains public and any interested user can respond to it. The app also suggests matches for you based on your interests. Enterprise mobile app developers are indeed carving out innovative ways for business networking. Apps have been a popular choice for attaining business goals and several companies are engaging their resources to develop such valuable apps. All you need is to grab the right app that finds perfect contacts, opportunities, and collaborations for you. The more you spread your wings in business, the higher you fly!